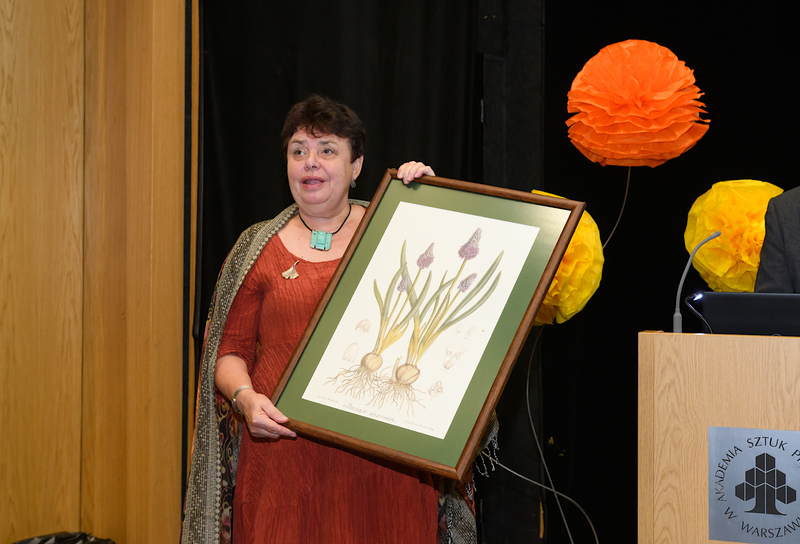 Hanna Werblan-Jakubiec, PhD, long-standing director of the University of Warsaw Botanic Garden retired from her post at the end of February 2019. Marcin Zych, PhD, has taken over the role. In the past 30 years Warsaw has seen rapid and fundamental change, and with it the botanic garden. Under Hanna Werblan-Jakubiec’s direction the garden has been lifted from a state of disrepair and its historical glory has been recreated. The institution has regained its scientific and educational status, and is now set firmly on Warsaw’s cultural and recreational map. Hanna Werblan-Jakubiec, a botanist and taxonomist by profession, has dedicated her career to nature conservation and academic education. Over the years she has also popularised botanical knowledge on local and national media, in primary and secondary education textbooks and in numerous courses for University of Warsaw students. She has been honoured by the Polish Botanical Society with the prestigious Professor Bolesław Hryniewiecki Medal for the dissemination of botanical knowledge.